Lock in a great price for Hotel Garni VŠB – rated 8.9 by recent guests! Good location, near motorway to PL, but it is hard to find, especially when it's dark. Clean rooms, good beds. The staff at reception speaks English fine. They very friendly and helpful. The room (suite) was big and clean. Our third stay here. 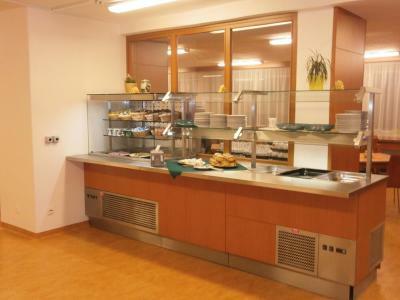 Spacious and clean rooms, shared fridge and other equipment. Very good value for money. Near public transport. Very convenient location for us. Very good restaurant nearby. Will come back again. 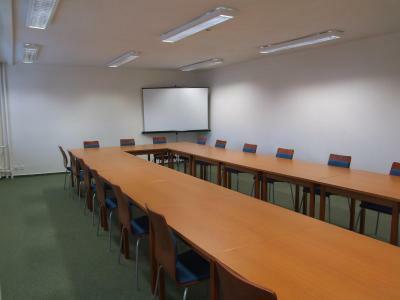 Convenient location near to University and Faculty Hospital. Shared bathroom is for 2 rooms, but second room was empty, so bathroom was private just for my room. Really appreciated this! Really helpful and nice staff. Nice and clean room. 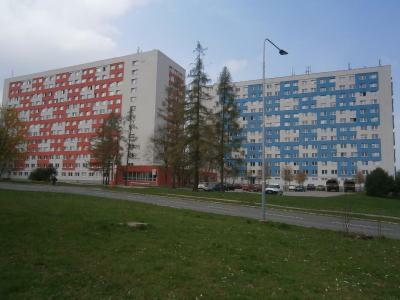 Hotel na koleji. Pro služební cesty úplně ideální, účelné vybavení pokojů, velké parkoviště přímo u vchodu. Snídaně jsem bohužel nemohl využít z pracovních důvodů a brkého ranního odchodu z ubytování. Možnost stravování v přilehlé pizzerii případně v obchodním centre Globus, kde člověk zožene všechno co je potřeba (2 minuty jízdy autem). Personál na recepcii velmi milý, ochotný poradit a schopný vyřešit jakýkoliv požadavek. Jak na trzygwiazdkowy hotel, Garni VŠB oferuje bardzo dobry standard: wysoko oceniam czystość w pokoju i w łazience (mimo że łazienka dzielona z drugim pokojem), w pokoju stałe łącze internetowe oraz WiFi, zestaw 3 ręczników, biurko i krzesło, telewizor, sporą szafę, filiżankę z łyżeczką, obok łóżka szafkę z lampką. Śniadania całkiem smaczne - szwedzki stół, spory wybór. Na plus także bankomat w hotelu. Pani sprzątająca codziennie zabierała śmieci z pokoju. Personel hotelu kulturalny. Dojem z ubytovania bol veľmi dobrý. Pohodlná posteľ, pracovný stôl a nový nábytok. Czystość, śniadanie, wygodne łóżka, świeża, miękka pościel, dużo miejsca na przechowywanie bagażu. Miła pani obsługująca restaurację. Najlepsza jajecznica hotelowa jaką w życiu jadłam! Polecam. Hotel Garni VŠB This rating is a reflection of how the property compares to the industry standard when it comes to price, facilities and services available. It's based on a self-evaluation by the property. Use this rating to help choose your stay! 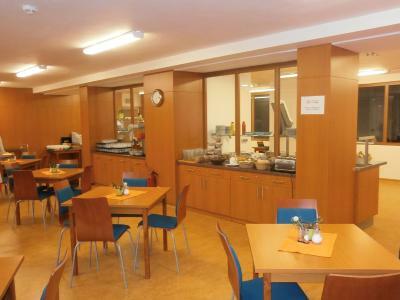 Set in the university area, Hotel Garni VŠB is located in Ostrava, 3.7 mi from the center and within 5.6 mi from ČEZ Aréna. The reception is opened for 24 hours. Vending machines and ATM are at guests’ disposal. They can also make use of tennis court, table tennis or mini golf. All units provide cable flat-screen TV, an electric kettle, a fridge, and towels as well as linen. They come with either private or shared bathroom facilities. The suites also feature a seating area. Other facilities offered at the property include a nightclub, meeting facilities and a shared lounge. A beauty shop is also available. Free parking is offered. A bus stop is in front of the area. 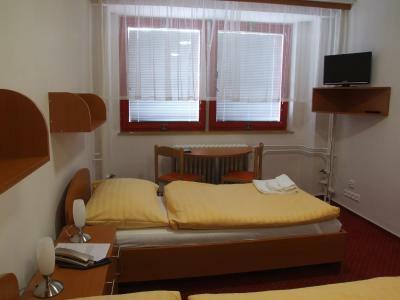 The hotel is 6.2 mi from Main Train Station Ostrava, 6.2 mi from National cultural monument the Lower Vitkovice and within 7.5 mi from Stodolni Street. Leos Janacek Airport is 9.9 mi away. When would you like to stay at Hotel Garni VŠB? This suite features a sofa, seating area and electric kettle. This suite has a seating area, cable TV and sofa. House Rules Hotel Garni VŠB takes special requests – add in the next step! Hotel Garni VŠB accepts these cards and reserves the right to temporarily hold an amount prior to arrival. Staff was poor in english, hotel is old, breakfast poor and limited, not too many signs to guide people on hotel entrance. Overall it's like from 1980's, "Stranger things" in Ostrava ;-). It's not nesecerilly bad thing, although it's better to know it before you enter the place for the first time. The staff insisted that payment for the dog has to be done in cash only. We had a long argument about it. Food for breakfast was as cheap as it gets. I liked the simplicity of the place. it is actually a dormitory not a hotel. It didn't look like 3-star hotel. The only place where my credit card didn't work for 4 days in Czech was the reception. You know there are some taxes when you withrawl money from an ATM? There were no fresh fruits at the breakfast. Internet usage is strange: the person at the reception has to create an account for you, which is OK. But then you have to log in everytime you start using your phone. It was very annoying. The location is so-so. It was very very cold and there is only a bus stop in front of the hotel; the tram is like 8 mins away; also University buildings are not very close. There was no proper smoking area inside, nor outside. I understand it's a dorm, but it says "3-star Hotel". In general it was OK, but a little expensive for what it offers as accommodation. Wi-fi is not provided, only internet via cable (useless for mobile phone). Breakfast is huge quantity, but low quality. This is a part of a dormitory, so rooms are not well organized for tourists.